I have a theory that any gift given in a little jar is a tad more special and certainly cuter if it is packaged sweetly in a jar. 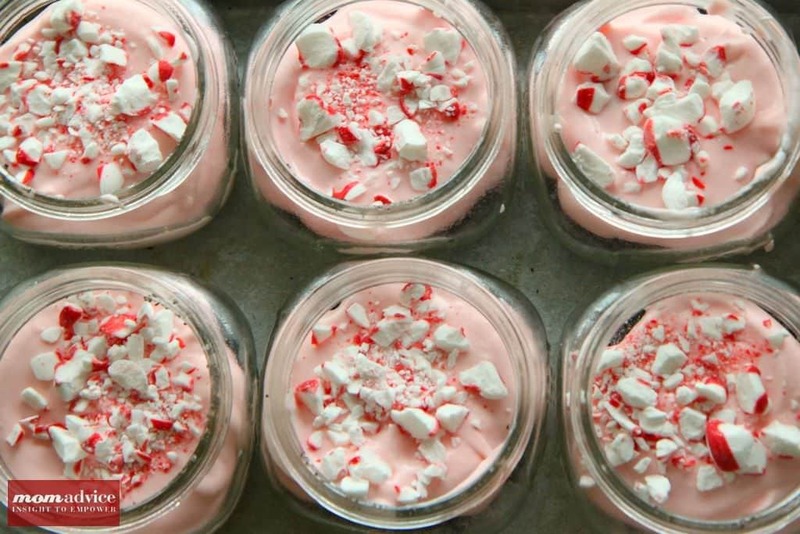 These no-bake peppermint cheesecakes in a jar are a perfect gift to give and full of that peppermint flavor we crave around the holidays. The best part about these isn’t the jar though, it is the, “no baking required,” feature that I happen to love the most. This year I wanted to create holiday hostess gifts that would long be remembered, but quickly be used. What could be more memorable or useful than a tiny cheesecake in a jar? The possibilities with this fun food craft are endless. Convert your favorite no-bake cheesecake into a sweet gift and decorate your jar with your favorite craft technique whether it is spray paint, decoupage, or a scrap of fun fabric. These gifts can easily be personalized and will be a fun treat for whoever you might share them with. I guarantee if you made me one of these as a hostess gift, I would have you over and over again…just for that Oreo crust alone! Make a batch of these and keep them on hand for those unexpected occasions where a gift is needed! It also could be a lovely reward for yourself after all of that hard holiday preparation you have been doing. You deserve it. 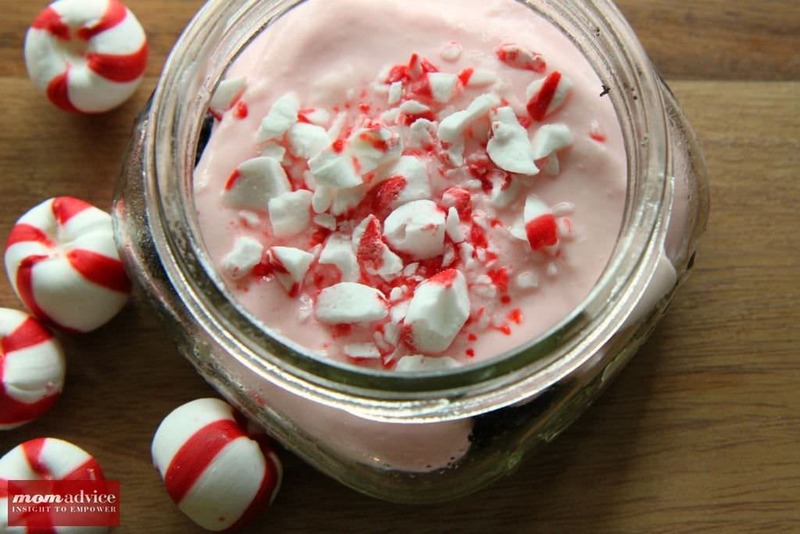 A sweet & simple no-bake cheesecake in a jar that you can give to someone special for the holidays. This is the perfect little hostess gift, teacher gift, or neighbor gift to share! Place your chocolate sandwich cookies in a freezer bag and use a rolling pin to smash the bag of cookies until they become cookie crumbs. Add your melted butter and sugar to the bag and mash the bag in your hands until the three ingredients pull together to create your crust and are well incorporated. Take the lids off of your glass jars and place them on a cookie sheet to contain the mess. Spray each of the jars with cooking spray. Put two spoonfuls of cookie crumbs into each jar and use the back of the spoon or your hands to press the crust into each jar. Slide the cookie sheet of jars back into the freezer to chill while you prepare the filling. In a large bowl, beat your cream cheese until light and fluffy. Gradually pour in a can of sweetened condensed milk until it is smooth. 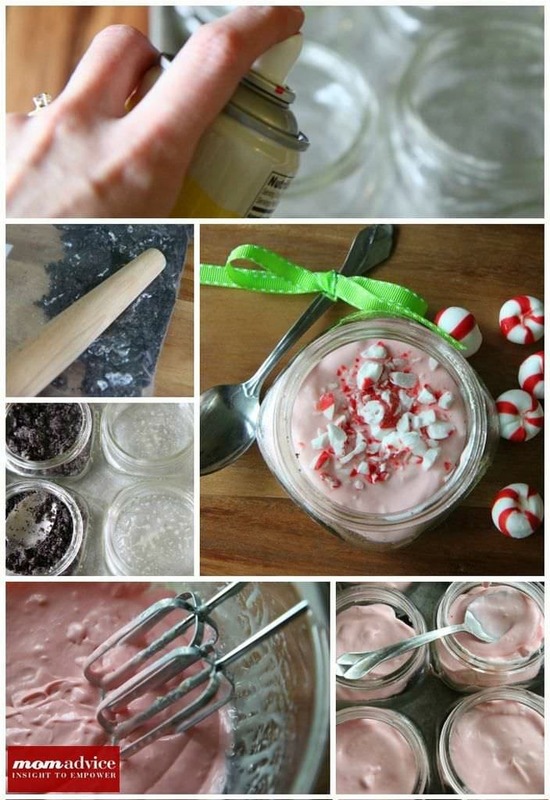 Stir in your peppermint extract and red food coloring, approximately three drops, to achieve a pale pink color. Mix all of these ingredients well. Fold in your whipped cream. Remove your tray of jars from the freezer. Using a standard ice cream scoop, add one scoop of filling to each of your jars. Use the back of a small spoon to smooth the filling on top until it is level and smooth. Remove the wrappers from your peppermint candies. Place the peppermint candies into a double-bagged freezer bag and use your rolling pin to smash these into small pieces to garnish your cheesecakes. Sprinkle the broken peppermints on top of each one. Screw the lids back on your jars and put these back into the freezer. Freeze for two hours or until firm. Remove the bands from the jars and set aside. Outside or in a well-ventilated area, spread your jar lids out on newspaper. Shake your spray paint well. Slowly and evenly, spray your spray paint back and forth until all of the lids are covered with the spray paint. Allow these to dry for at least thirty minutes. Plug in your glue gun and allow it to heat up. Tie grosgrain ribbon (any width you desire) into a small bow. 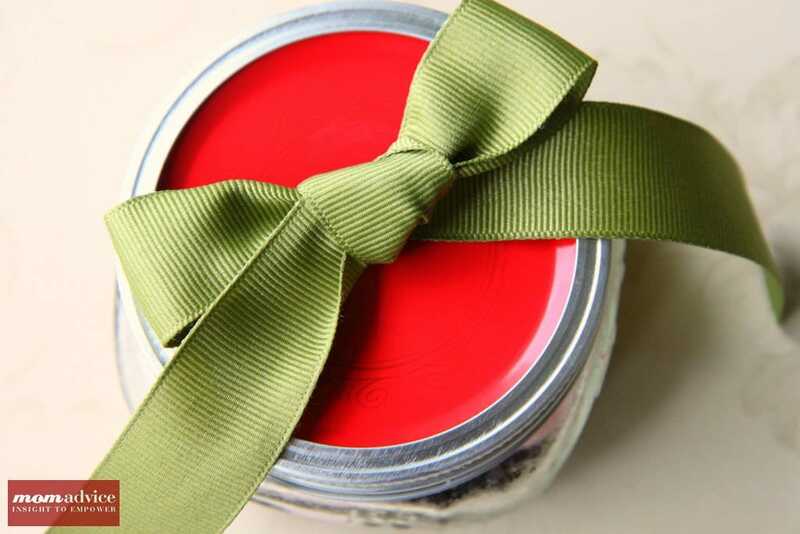 Place your spray-painted lids on top of your jars and screw the bands into place. Squirt a tiny dot of hot glue on the back of your bow and place it on top in the center of your lid. Hold it in place for a minute. Sit back and bask in your crafting glory. 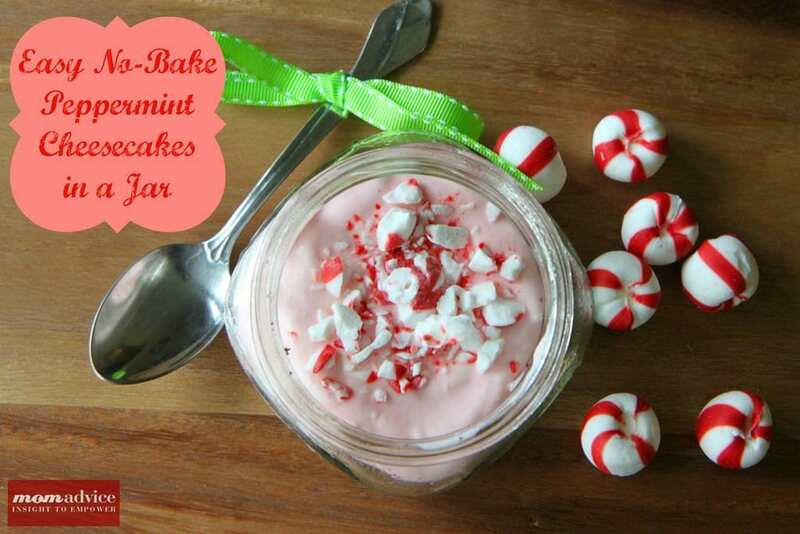 Looking for more sweet Peppermint Gifts to share? Take a peek at our recipe for Homemade Peppermint Marshmallows, Candy Cane Peppermint Bath Salts, and DIY Peppermint Mocha Coffees you can enjoy or share this holiday season!